The GEARS-IDS Heavy Duty Drive System includes 12 very robust parts that will give your mechatronic creations the ability to carry more engineering components and the energy storage capacity to run them. Add battery capacity, larger pneumatic components, bigger wheels and industrial grade servos and motors that won't fail the demands of developing engineering students. These GEARS-IDS drive components are really tough. 2pcs. 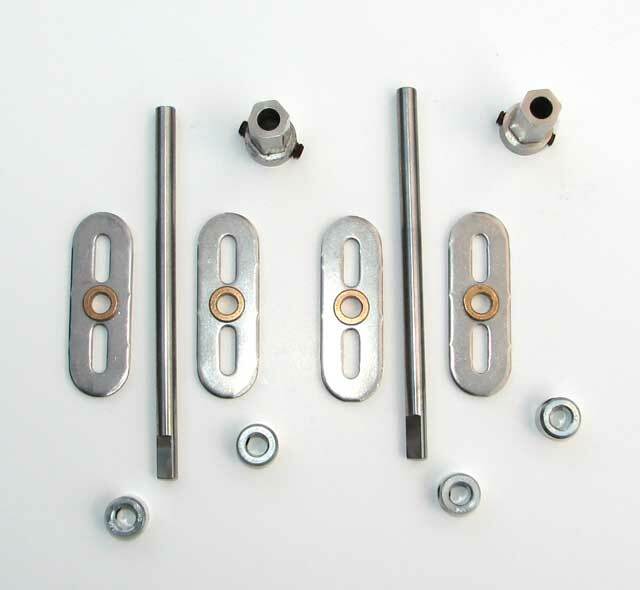 Extra HD 1/4" dia x 4-1/2" precision ground Stainless Steel Axles with machined flats. 4pcs. 0.090" thick stainless steel and sintered bronze bearing plates. 2pcs. 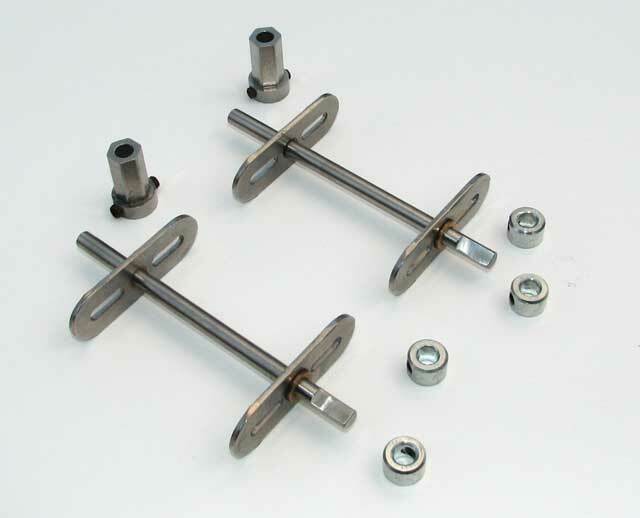 1/4" Hex adapters for mounting GEARS-IDS wheels, sprockets and gears.